Pull, don't carry, your golf bag. Carrying a heavy bag for 18 holes can cause the spine to shrink, leading to disk problems and nerve irritation. If you prefer to ride in a cart, alternate riding and walking every other hole-bouncing around in a cart can also be hard on the spine. Drink lots of water. Dehydration causes early fatigue, leading you to compensate by adjusting your swing, thus increasing the risk of injury. Don't smoke or drink alcoholic beverages while golfing, as both cause loss of fluid. Doctors of chiropractic are trained and licensed to treat the entire neuromusculoskeletal system. 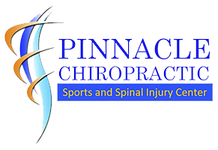 Some doctors of chiropractic have specialized training in sports medicine and can provide advice for golfers to help them decrease the stresses and strains placed on their bodies. Doctors of chiropractic can address other health concerns, such as shoulder, knee, arm and wrist pain that could affect your game. "If you golf consistently, you will no doubt feel the stress of the game, but by following a few simple prevention tips, it is possible to play without pain for a lifetime," says Dr. Stude.